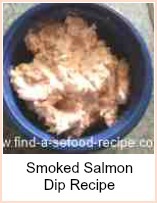 I would say this is one of the most versatile fish appetizer recipes you could find - it's certainly a very tasty one. You'll need ripe avocados for this - if you press the stalk end very gently, there should be some give. Stoning it is fairly simple - just take a sharp knife and score round the centre of the 'long' side. Cut right to the stone - hold the 'halves' firmly in each hand and 'twist' so that they go in opposite directions. This should result in one of the halves coming away from the stone. Take your knife and loosen the stone from the other half and you're away. Loosen the flesh by running a knife as close to the skin as you can. The crab mixture can be as simple as you like and serve it depending on what your tastes are. 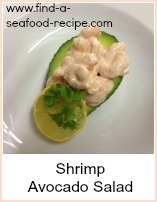 Either take cooked crab meat, mix with some lemon juice and black pepper and spoon onto each half of avocado. Mix the crab with some finely diced cucumber and celery and bind together with mayonnaise - spoon onto each half. You could also dice the avocado, mix with the crab meat, mayonnaise and seasonings, then place onto a pile of shredded leaves and sliced tomato. Garnish with some watercress or dill. It's best to eat with a spoon rather than a knife and fork - much like a prawn cocktail. 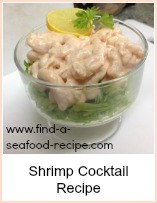 Your imagination is the only limit here - you can garnish with a few shrimp if you like. 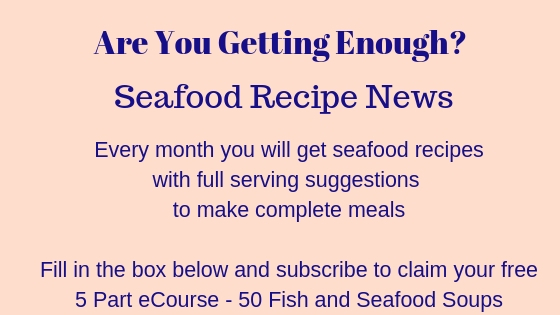 Fish Appetizer Recipes are very popular. A lot of people love a seafood appetizer. 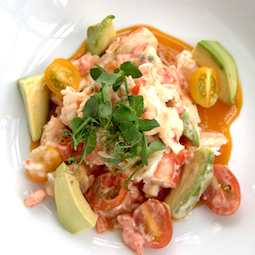 This recipe for Crab and Avocado is fabulous plus more recipes for shrimp cocktail and others.